HANFORD, Wash-- One of the most hazardous Hanford burial grounds along the Columbia River has been cleaned up. Cleaning up the 618-7 burial ground at Hanford was a very difficult process. Clean-up staff had very little records about what was underground. It was three trenches and between 1960 to 1973 the site received nuclear fuel waste. This is part of the careful cleanup of 800 barrels of toxic waste. Hanford officials say a milestone is reached that holds true to the Tri-Party Agreement. "We found a lot of unknowns and a lot more material than we expected. We handled that very well and completed the project on time," said Dave Brockman, Manager of the Richland Hanford Office. Clean-up of the burial site cost more than $20 million. The Environmental Protection Agency oversaw the process and says it went smoothly. "It's probably the most challenging waste site that they have done at Hanford to date and they've shown that they can meet this challenge and do it," said Dave Einan, EPA. Some of the trenches contained chips of zircaloy which can easily ignite. Most of the waste came from Hanford's fabrication and research facilities. Before removal, samples needed to be tested to see what type of materials they were. "You anticipate what's going to happen, you create a series of boundaries, and you go step by step by step by step very carefully, then stop and you go back and evaluate," said Chuck Spencer, Rresident of Washington Closure Hanford. During excavation of the trenches, last August a small fire broke out but there was no injuries or contamination spread. "It was a very hazardous project but we have more hazardous one's to come. We learned a lot from this now we fell we're ready to move on to a couple more," said Brockman. The next clean up project is a site north of this burial ground and another one that's near Energy Northwest. After this site was cleaned, which took about a year, workers had removed 180-thousand tons of waste. 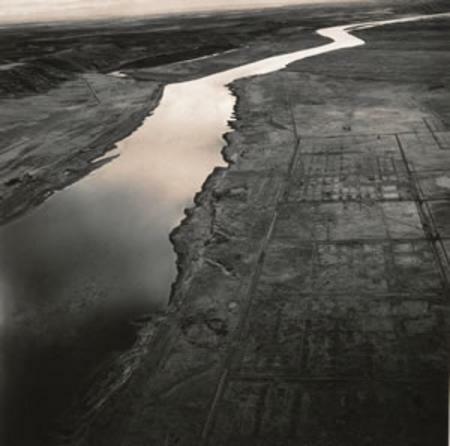 Hanford Toxic Burial Ground Cleaned Up Near the Columbia River <= Click to view Video at original site.